This week’s season 7 Fortnite challenges ask us to search for the letter O west of Pleasant Park as part one of five that will reward you with ten stars worth of Battle Pass progress. That should hopefully be enough to unlock a cosmetic item you’ve been grinding levels for – think of it as a neat post-Christmas treat. By the end of this challenge you will have letters that spell out N-O-M-S for a sign in Retail Row, which is the final stage. But before we get ahead of ourselves we need to concentrate on finding the letter O west of Pleasant Park. This can be pretty tricky as the letter is well hidden and roughly the size of one of the puzzle pieces from an earlier challenge. Even with the help of the challenge description pointing us in the right direction (west) it took us several attempts to find the letter O. So, if you’re struggling to track down this objective then let us show you the way. 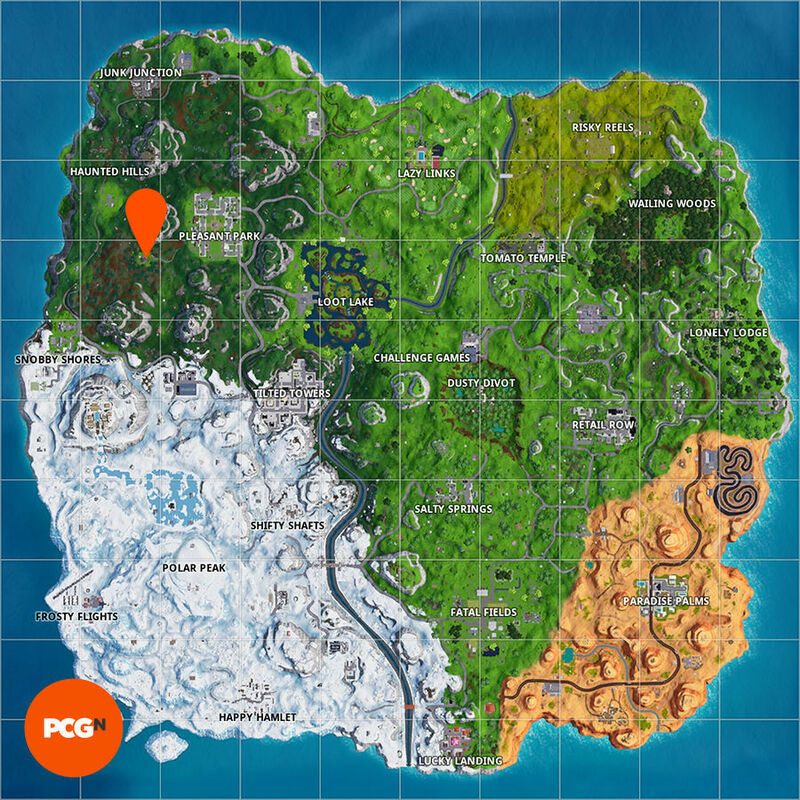 First off, you’ll want to open up your Fortnite map and mark the building to the west of Pleasant Park and between two mountains. You will no doubt have visited this factory building before, but searching inside will prove fruitless. If you’re struggling with some of the other Fortnite season 7 week 4 challenges then here’s where you can find all Fortnite fireworks locations. Keep checking back on the site to stay up to date with all the latest Fortnite challenges.